As a tribute to Gratien Gélinas, the great Québecois actor and playwright who died in 1999, the Blyth Festival has mounted his last play “The Passion of Narcisse Mondoux” (1986). Every aspect of this production is a pleasure and the performances of the two actors are so winning they convince us that this is one of the few great Canadian comedies. The play is set in the fictional Québecois village of Saint Esprit-en-Bas. Widower and retired master plumber Narcisse Mondoux notices in the newspaper that the secret love of his life, Laurencienne Robichaud, wife of the interim mayor, has become a widow and thus pays his respects at the funeral home in order to see her. There, like a good-hearted and bumbling Richard III, he begins to woo her as she mourns by the coffin of her husband. To his chagrin a trip to Florida he has already agreed to take with another widower means he will not be able to see her again for two months. The rest of the play takes place at Laurencienne’s home on his return where has visited on the pretext of unclogging the drain she mentioned to him at the funeral home. Feeling it is now or never, he painstakingly reveals the love he has harboured for her for 40 years while his male-chauvinist attitudes and general ineptness increasingly distance him from the woman he longs for. When the play first appeared in 1986 there were grumblings that it was hopeless dated by its discussions of feminism and machismo as if they were new concepts. The passage of 15 years has now made this seem less important. Narcisse’s avoidance of being called up for World War II and the references to Margaret Thatcher and Jean Sauvé as contemporary figures places the action within specific historical limits. By mentioning that other villages in Quebec have female mayors, Gélinas’s intention is clearly to show that new ideas have so far managed to bypass Saint Esprit-en-Bas. The focus of the play now is not so much the issues that the characters discuss but the nature and interplay of the characters themselves. 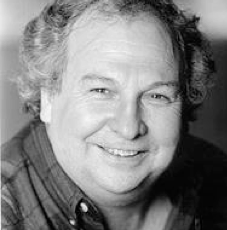 Blyth regular Ted Johns is superb as Narcisse. His resemblance in his three-piece suit to Dickens’s Mr. Pickwick makes his all-consuming passion all the more unlikely and all the more humorous. Yet, the primary source of humour is the total inadequacy of the language Narcisse uses to express the emotion he feels. On top of his propensity to malapropisms, every time he reaches for a metaphor to elevate his speech it betrays the down-to-earth notions in the back of his mind: “I long for the day when my hammer and tongs can work in your forge”, or when he tries to convince her that passion is still possible at his age, “An old barn burns faster than a new one”. Johns’s delivery with his wavering extended vowels is a joy throughout. His Narcisse begins as over-confident and boastful but gradually comes to realize with some discomfort that the more he tries to explain his feelings the more he risks alienating his beloved. He gives Narcisse the endearing quality of trying to plunge valiantly ahead all the while his task seems ever more hopeless. It is truly a performance to cherish. Mary Long makes Laurencienne the perfect foil for Narcisse. She negotiates the subtle change from perplexity that someone she hardly knows feels is so obsessed with her to a mixture of amusement and annoyance verging on dislike for a man who despite all the evidence feels men are innately superior to woman to distain of his ignorance of village politics. Most crucial of all, she gradually shows the dawning awareness that beneath the veneer of this buffoon with his ill-chosen words and outdated notions there is an honest, innocent soul with a good heart ready to do anything he can to please her. To make the ending believable, the actress playing Laurencienne has to make this awareness that that Narcisse may actually be worthy of her love seem perfectly natural. Long accomplishes this by showing us early on that Laurencienne does not reveal all she thinks in what she says, always reserving a final judgment until she has observed things more closely. She, too, gives a masterful performance. Director Linda Moore is fully alive to the subtle dynamics of the play and knows how to build the comedy to bigger and bigger laughs. She carefully alters our perspective so that by the end we are no longer laughing at the characters but laughing with them. Her compassion for the human foibles of Narcisse and Laurencienne suffuses the play with warm sense of generosity that stays with you long after the performance is over. Brian Perchaluk has designed the sets and costumes in a palette of soft colours with a nostalgic cast, giving Laurencienne quite a handsome sitting-room and Narcisse a humorous outfit in what the plumber thinks is the latest style. Ereca Hassell enhances the warm mood with her lighting even giving Narcisse a golden ray from heaven when he prays to the Holy Spirit for guidance. The projections of newspaper articles, postcards and photos are all wittily conceived. I can’t imagine a better production of this delightful play where every detail has been so well thought out. Anyone stifled by the overproduced, unfunny comedies on offer at Stratford should drive the extra hour to Blyth for an example of how a good comedy of character should be performed. It's like a breath of fresh air.